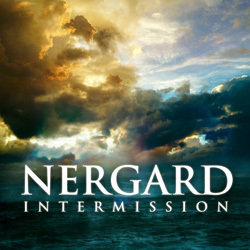 A three-track EP from the multi-talented Andreas Nergård, ‘Intermission’ features his take on three songs from outside the world of metal with two cuts coming from the U2 songbook and the third from the pen of A-ha. And if you feel this might be a tad indulgent, or, like me, you’re horrified at the choice of bands, it’s important to point out from the off that all income from the EP is to be donated to the children’s cancer ward at St Olav’s Hospital in Trondheim – so we can stop being smug and put our energies into supporting this. The U2 songs bookend the release, with the hacking riff of ‘Acrobat’ opening proceedings and the stripped-down and piano-dominated ‘With Or Without You’ bringing things to a close. Given Bono’s distinctive voice it’s quite odd to hear these treatments with someone else crooning along, although neither Aeon Zen’s Andi Kravljaca (‘Acrobat’) nor Tempo’s Thomas Løseth (‘With Or Without You’) are slouches in the vocal department and ‘Acrobat’ in particular does take on a life of its own on this EP. The filling in this U2 sandwich is A-ha’s ‘The Bandstand’; again featuring vocals by Kravljaca to my mind this is ‘Intermission’’s highlight, and not only does Nergård’s deft touch allow the melody to shine through but by stripping away the pop sensibilities he’s highlighted the song’s progressive potential. The core of the material was laid down by Nergård who handles drums, bass and keyboards, with Henrik Karlsvik adding guitar and Øyvind Wærnes adding the rather adroit guitar solo to ‘Acrobat’. An interesting way to start the New Year, and a masterclass on how to breathe fire into songs that normally sit well beyond metal’s radar. And it’s for charity too. What’s not to like?